Objections do count – wind development is blown off course! With the end of July deadline looming for objections to the proposed Loch Bradan turbine, it is worth considering that there are good news stories out there and that every objection really does count! A 5 turbine wind farm near the Cheviot Hills which received over 1000 objections has been thrown out by the Scottish Borders Council. The full story can be found here. One of the grounds given for refusal was that: ‘The proposal would have a significantly adverse landscape and visual impact .. in ..a landscape that is currently unaffected by this type of development …‘. To anyone who has been to the tranquil and unspoilt area of Loch Bradan this statement will ring so true. Hopefully our council planning department will agree. Note: One letter = one objection regardless of how many people sign it, so, where possible don’t forget to submit multiple objections per household. 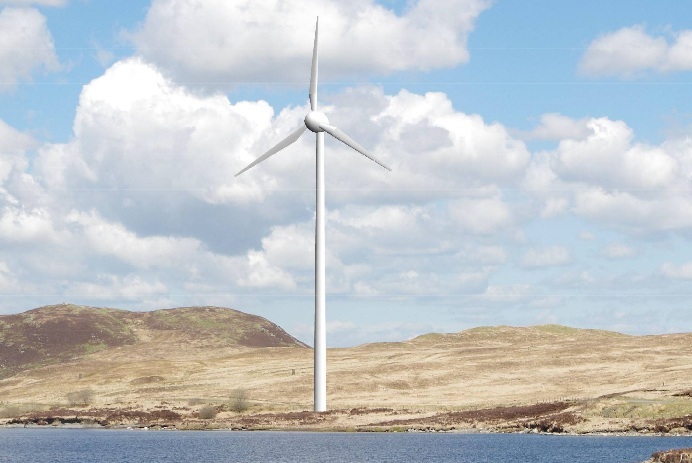 Plans for a 23-turbine wind farm near Drumnadrochit have been refused consent by the Scottish government. Energy Minister Fergus Ewing said Druim Ba Wind Farm would have “significant adverse” impacts on the landscape and residents living nearby. Druim Ba Sustainable Energy Limited’s proposals were opposed by a public campaign and Highland Council. In 2011, campaigners flew a blimp close to the proposed site to demonstrate the scale of the turbines. Hello – I was just about to post the same link as pullen78, I like the idea of the blimp to show how high the turbines were going to be!